This is a delightful earthenware cup from Carlton Ware in their 'Walking Ware' series. 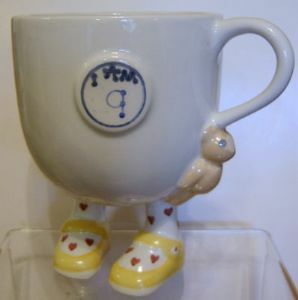 This one is a Birthday Cup - 'I Am 9'. There is no evidence of crazing and no chips nor nibbles.